The Coastal Management Bill 2016 has been passed by both Houses of Parliament on Tuesday May 31st, 2016 and is now awaiting assent. This process, commenced in the announcement of reforms in November 2015 and a consultation period that ran until February 29, 2016, replaces theCoastal Protection Act 1979 . The Act is a blueprint to 'manage the coastal environment of New South Wales in a manner consistent with the principles of ecologically sustainable development for the social, cultural and economic well-being of the people of the State. Under the Objects of this Act, mitigating the effects of uncertain future climate change, including large storm events, the identification of land in the coastal zone for acquisition by public or local authorities in order to promote the protection, enhancement, maintenance and restoration of the environment of the coastal zone, and to protect and enhance natural coastal processes and coastal environmental values including natural character, scenic value, biological diversity and ecosystem integrity and resilience. Future public consultation in 2016 will include a full draft of the proposed new Coastal Management SEPP and maps of the coastal management areas. Member for Pittwater, and NSW Planning and Environment Minister, the Hon. Rob Stokes named Angus Gordon during the Second Reading of the Bill on Tuesday, singling out the former Pittwater Council General Manager and current Principal Consultant at Coastal Zone Management and Planning, and Professor Bruce Thom, leading geomorphologist and member of the Wentworth Group of Concerned Scientists for the work they contributed to the bill. Hon. Rob Stokes, Prof. Bruce Thom and Angus Gordon at 2013 Coastal Forum at CEC . Development consent must not be granted on land that is identified as a coastal wetland or littoral rainforest unless the consent authority is satisfied that there are sufficient measures proposed to protect the biophysical, hydrological and ecological integrity of the rainforest or wetland (Formula 1). Development consent must not be granted to development on land within the 100m perimeter area of a littoral rainforest unless the consent authority has considered the extent to which the development will impact on the biophysical, hydrological and ecological integrity of the adjacent littoral rainforest, or the quantity and quality of surface and ground water flows to the littoral rainforest if the development is on land within the catchment of a littoral rainforest (Formula 2). Development consent must not be granted on land within the 100m perimeter area of a coastal wetland unless the consent authority is satisfied that the development will not significantly impact on the biophysical, hydrological and ecological integrity of the coastal wetlands, or the quantity and quality of surface and ground water flows to the coastal wetland if the development is on land within the catchment of the coastal wetland (Formula 3). The EDO states that "the proposed SEPP includes a requirement to obtain development consent to erect a building, to undertake earthworks or to destroy or remove native vegetation within the 100m perimeter of a littoral rainforest. However, this will not apply to land that is zoned residential.Similarly, the SEPP will not include a requirement to obtain development consent to undertake development within a 100m area of a coastal wetland.26 This is particularly concerning given the potential for residential development to degrade sensitive coastal environments such as rainforests and wetlands. up to 10 dwellings per 600m² lot could be constructed just outside of the 100m perimeter of a littoral rainforest without any need to obtain development consent. up to 10 dwellings per 600m² lot could be constructed just outside the 100m perimeter of a coastal wetland without any need to obtain developmentconsent." As indicated above, consultation on the draft for the SEPP and Maps has not yet commenced. Temporary coastal protection works, Part 4C (Temporary coastal protection works) of the former Act and the regulations, made under that Part continue to have effect as if that Part and those regulations were not repealed in relation to temporary coastal protection works if (a) the works were placed on private land in accordance with that Part before the repeal date, and (b) the owner of the land complied with section 55X (Notice to council and others of placement of temporary coastal protection works) of the former Act in respect of the placement of those works. Those concerned the new Act limits their powers to protect their properties in storm events should note Councils are required, as part of forming a coastal management plan, to have a coastal zone emergency action subplan, which is defined as "a plan that outlines the roles and responsibilities of all public authorities (including the local council) in response to emergencies immediately preceding or during periods of beach erosion, coastalinundation or cliff instability, where the beach erosion, coastal inundation or cliff instability occurs through storm activity or an extreme or irregular event. For the purposes of this subsection, those roles and responsibilities include the carrying out of works for the protection of property affected or likely to be affected by beach erosion, coastal inundation or cliff instability." One other point to note in the new Act is, especially for residents who live in the definitions contained in this Bill, is that under "Granting of development consent relating to coastal protection works" in that Development consent must not be granted under the Environmental Planning and Assessment Act 1979 to development for the purpose of coastal protection works, unless the consent authority is satisfied that the works will not, over the life of the works, unreasonably limit or be likely to unreasonably limit public access to or the use of a beach or headland, or pose or be likely to pose a threat to public safety, and satisfactory arrangements have been made (by conditions imposed on the consent) for the following for the life of the works: the restoration of a beach, or land adjacent to the beach, if any increased erosion of the beach or adjacent land is caused by the presence of the works, and the maintenance of the works. Note. Section 80A (6) of the Environmental Planning and Assessment Act 1979 provides that a development consent may be granted subject to a condition, or a consent authority may enter into an agreement with an applicant, that the applicant must provide security for the payment of the cost of making good any damage caused to any property of the consent authority as a consequence of the doing of anything to which the consent relates. (b) by payment to the relevant council of an annual charge for coastal protection services (within the meaning of the Local Government Act 1993). The funding obligations referred to are to include the percentage share of the total funding of each landowner, council or public authority concerned. 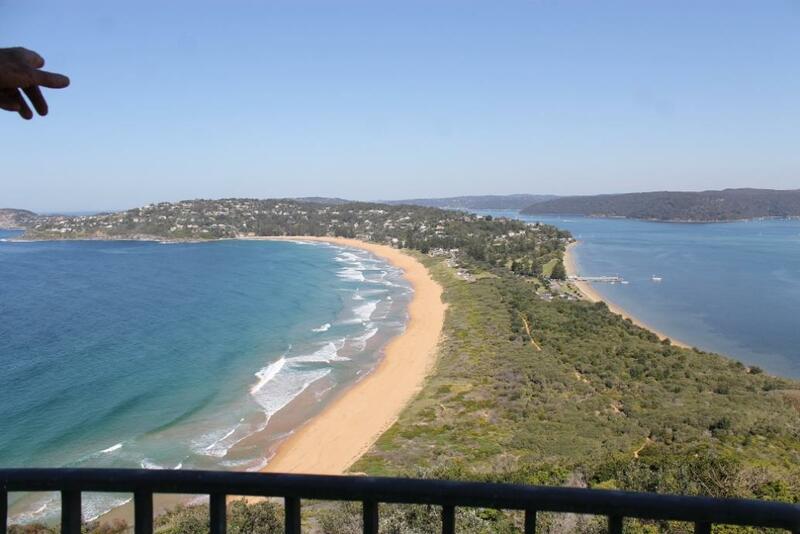 On February 28th 2013 Pittwater residents attended a community forum on offshore sand mining and the management of coastal erosion at the Coastal Environment Centre at Narrabeen, hosted by the Member for Pittwater and at which Professor Thom and Angus Gordon provided insights and expertise. "The preservation of our local beaches is paramount - so it's essential nothing is done that will deliver unintended or adverse effects. Managing coastal erosion is an enormous challenge but it's increasingly important for the long term preservation of our built and natural environments.” Mr. Stokes stated then. The passage of this Bill, incorporating updated knowledge and science recognises the difference between the Coastal Protection Act 1979 , written to meet severe storm events in the 1970s and attempt to protect beaches and those living beside them through Beach Improvement Programs and that which includes, as one example, being the first legislation in Australia to specifically recognise the use of the surf zone in a land-use planning context and the importance of dunes. There's a lot of work over a long period of time by many people to update and define what is needed for the management of our coasts in this Bill. Well worth going through in full, especially the speeches made during the Readings that indicate what has been done, these ways forward for coastal communities such as Pittwater, backed up by support to take the next steps and prepare coastal management plans, will not stop the big storms but it may help better mitigate their effects, from coastal fringe and inland, and ensure an ongoing focus on resolving inherited issues. In order to effectively integrate coastal considerations into land-use planning, the new Coastal Management Act will be supported by a redesigned package of land-use planning instruments, including a new Coastal Management State Environmental Planning Policy (SEPP), a Coastal Management s.117 Planning Direction relating to plan making and non-statutory planning instruments, such as regional growth and infrastructure plans and Coastal Design Guidelines. A new definition of the 'coastal zone'. Unlike the Coastal Protection Act 1979 , which defined the coastal zone as a homogenous strip of the coastline, the Coastal Management Bill defines the coastal zone as comprising four distinct coastal management areas. This new approach means better management in the diversity of land use, environmental and coastal hazard issues that exist in coastal areas by directly targeting the rules and guidance that apply to them (including the development controls in the Coastal Management SEPP). As well as being defined in the new Act, the four areas will be mapped as part of a new Coastal Management State Environmental Planning Policy. The legislation will establish clear, outcome-orientated management objectives for each area to ensure councils apply appropriate management tools and development controls. (e) to promote the objectives of State policies and programs for wetlands or littoral rainforest management. (d) the coastal use area. (i) to improve the resilience of coastal development and communities by improving adaptive capacity and reducing reliance on emergency responses. (f) to maintain and, where practicable, improve public access, amenity and use of beaches, foreshores, headlands and rock platforms. (b) to accommodate both urbanised and natural stretches of coastline. An emphasis on taking action through coastal management programs. Local coastal zone management plans (CZMPs) will be replaced by coastal management programs (CMPs) that must be integrated with councils' IP&R plans under the Local Government Act. The accountabilities associated with IP&R plans will place new emphasis on the timely and effective implementation of coastal management programs. Councils will have until December 2021 to transition existing CZMPs to CMPs. In developing a coastal management program, appropriate consultation will be required. Importantly, the Act will recognise that sand and other sediment moves on a scale larger than local government boundaries (within areas known as sediment compartments). Consultation should also be at the scale of these sediment compartments so that coastal management activities can take into account strategic issues on a regional scale. It will also be important to ensure that councils, and other public authorities with a role in the coastal zone collaborate to ensure that actions at all levels reflect the objects of the new Act and are compatible with the long-term strategy for the coast. All public authorities will be required to have regard to relevant coastal management programs when carrying out their functions such as coastal planning, management, and undertaking infrastructure and other works in coastal areas. The new coastal management manual will provide clear instructions and step-by-step guidance for councils to meet the requirements of the new Coastal Management Act. Current guidance is relatively high-level and fragmented across a number of guidelines and codes of practice. The new manual will consolidate and augment existing guidance to better support councils in the preparation of CMPs. A new statutory NSW Coastal Council. The NSW Coastal Council will replace the NSW Coastal Panel. Its primary function will be to advise the Minister on a range coastal management matters. Unlike the NSW Coastal Panel, the Coastal Council will not have a development consent role. The Coastal Council will also be able to conduct performance audits on councils' implementation of their CMPs, if asked to do so by the Minister. The NSW Coastal Council's role will be to provide independent advice to the Minister administering the new Act on coastal planning and management issues. The NSW Coastal Council may provide advice to the Minister when granting Ministerial certification of a coastal management program, and may commission technical advice on matters of strategic importance. 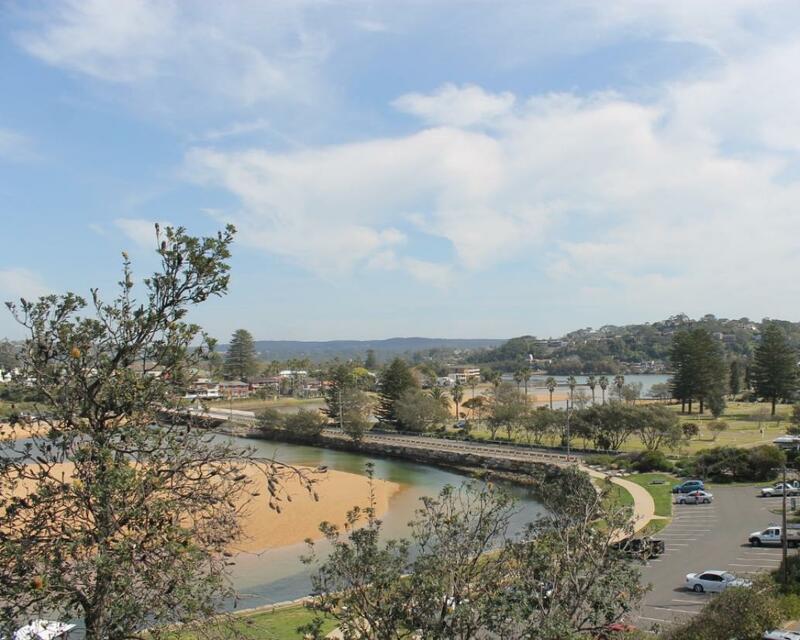 The NSW Coastal Council will also be able to conduct, at the Minister's direction, performance audits of a local council's implementation of its coastal management program. Performance audits will enable the NSW Government to determine whether coastal management programs are being effectively implemented, and to identify opportunities for local council capacity building. Consultation with coastal managers has highlighted to need to reduce the duplication and overlap of enforcement provisions and improve their effectiveness. This will be achieved in large part by integrating key provisions and embedding them in the Environmental Planning and Assessment Act. The new Coastal Management Act will bring across existing provisions in the Coastal Protection Act 1979 designed to protect beaches and headlands from the impacts of inappropriate coastal protection works. The new Act will require councils and other consent authorities to be satisfied that proposed coastal protection works do not unreasonably limit public access to or use of beaches and headlands, or pose a threat to public safety. The Environmental Planning and Assessment Act 1979 is amended to allow consent authorities to condition approvals for coastal protection works to require the payment of costs for rectifying potential damage caused by the coastal protection works to other property. These provisions are in addition to other planning and development controls that will be applied in the coastal zone via the proposed Coastal Management State Environmental Planning Policy. The involvement of a Joint Regional Planning Panel (JRPP), with appropriate expertise in coastal engineering and coastal geomorphology, in determining development applications for certain coastal protection works by private landowners or public authorities recognises that coastal protection works may give rise to significant long term environmental and social impacts if not designed, installed or maintained appropriately. (ii) the maintenance of the works. (3) The funding obligations referred to in subsection (2) (a) are to include the percentage share of the total funding of each landowner, council or public authority concerned. The draft Coastal Management Bill establishes clearer requirements for councils to consult with neighbouring councils, other public authorities and the wider community in developing and implementing coastal management strategies. The NSW Government today announced an $83.6 million Budget funding commitment towards management of the NSW coastline, including funding for the mitigation of future coastal risks and hazards over the next five years. “The package of funding includes $69 million of new funding and the redirection of $14.6 million in existing coastal management spending, which is the most significant commitment of state funds to coastal management since the 1970s,” Mr Stokes said. Ms Berejiklian said the funding commitment will be included in the 2016/17 NSW Budget, due to be handed down on June 21. “Our strong Budget position and healthy finances allows us to invest in communities across NSW including our thriving coastal communities,” the Treasurer said. A $7 million investment in statewide science and technical advice as part of the package, will help councils to identify and assess the vulnerability of coastal areas and evaluate possible management actions to prepare their communities and assist them to respond effectively. Councils will be able to apply for grants to help them implement actions they have identified in their coastal management programs that demonstrate clear benefits for their local area. The funding will commence in the 2016-17 financial year.